UCSC prides itself on being creative and diverse. Not surprisingly, these attributes show themselves in the student population, and the groups that they are a part of. This is extremely true in respect to Jewish Life. Take a look at the groups below to get more information about these Jewish Student groups or contact the group president. Santa Cruz Hillel admires students' entrepreneurial spirit. As such, if you don’t see something that speaks to you among this list, we’ll help you create it! Some of today’s current student groups started with just an idea and a handful of students and have grown into large organizations. So whether you want to launch a Jewish cooking club or explore the Jewish community when you study abroad, let us know! The Leviathan Jewish Journal is a student-run, quarterly publication at UCSC. It is the longest running Jewish student puplication across America, last year celebrating it’s 40th anniversary. It publishes articles, poetry, short stories and artwork pertaining to Judaism and the Santa Cruz community. Are you interested in Greek life with a Jewish spin? Looking for lifelong friends and the bonds of sisterhood? Involvement with Sigma AEPi ensures personal development and leadership experience, along with those timeless friends. Check out Sigma, UCSC's Jewish sorority! The 111th colony of AEPi aims to help each student to develop character, responsibility, and a proper set of values through living together in brotherhood. Alpha Epsilon Pi prepares young men for their role in life as responsible citizens. 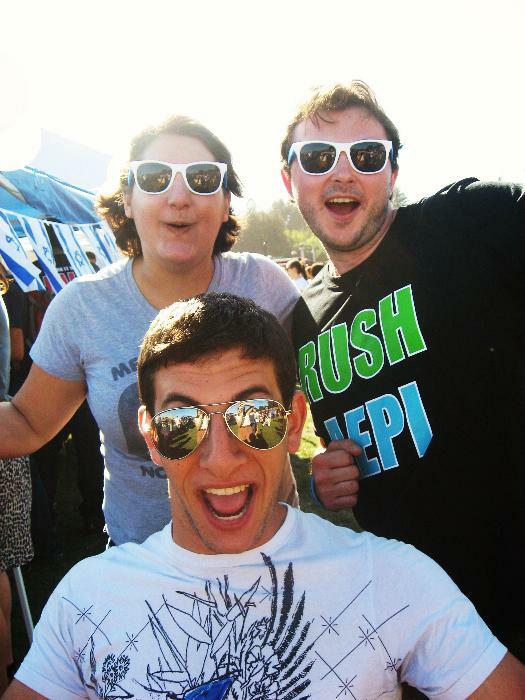 AEPi’s basic purpose is to provide the opportunity for a Jewish man to be able to join a Jewish organization whose purpose is not specifically religious, but rather social and cultural in nature. Alpha Epsilon Pi is a Jewish fraternity, though non-discriminatory and open to all who are willing to espouse its purpose and values. Challah 4 Hunger is a student run initiative that comes together to bake Challah every week from scratch. They then sell the Challah and donate all the proceeds to the “American Jewish World Service for Humanitarian Aid in Darfur” and other local non-profit organizations. In the past year alone they have made over $1500! Challah 4 Hunger is helping the world, one Challah at a time. For more information please contact, alystar@santacruzhillel.org.